One of the bloodiest battles in human history, the Battle of the Somme, will be commemorated in a new exhibition at Cavan County Museum, Ballyjamesduff, opening on Friday, 29 July at 7pm. One of the most infamous chapters in a conflict which saw the human efficiency for mass killing reach grisly new heights, the Somme Offensive was fought between 1st July and 18th November 1916, and saw over one million men killed or wounded. On the first day of the battle alone, the British Army suffered over 58,000 casualties, of whom over 19,000 lost their lives. Twenty-eight of those killed were from County Cavan, including Private Edwin Sherriff from Cootehill, aged just 19 years and Private George Bodle, Cullies, Shercock, aged 26 years. To commemorate this historic event, Cavan County Museum will launch ‘The Battle of the Somme’ Exhibition on Friday, 29 July at 7pm. This exhibition will bring to life the harsh reality of this attrition conflict, which led to an unprecedented number of men mown down by machine gun fire for the sake of a seven-mile advance by the British Army. Memorabilia from Major General Sir Oliver Nugent commander of the 36th Ulster Division- kindly on loan from the Nugent Family and the Royal Irish Fusiliers Museum, Armagh will be displayed within the Museum’s World War One (WWI) Gallery. The Battle of the Somme sits alongside and complements other Museum exhibits including the WWI Trench Experience and the 1916 Rising Exhibition. Our reflective space encourages visitors to remember what has been lost through war. Minister Heather Humphreys, Department of Arts, Heritage, Regional, Rural and Gaeltacht Affairs will be joined by distinguished guests from the museum’s peace partners in Northern Ireland in officially launching this exhibition. 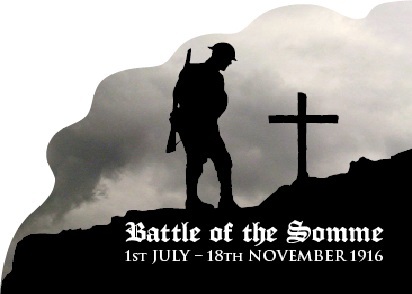 Cathaoirleach of Cavan County Council, Cllr Fergal Curtin extends an open invitation to come to Cavan County Museum on Friday, 29 July at 7pm to remember all those who took part in the Battle of the Somme.